From the moment that we walked through the door, everything was instantly taken care of glass of champagne immediately in hand, bags already whisked up to our room. Hmmmm, that's a definite YES from me! The warm welcome that followed from the charismatic and delightfully eccentric team ensured our shoulders instantly dropped and we could settle into our few nights of freedom. 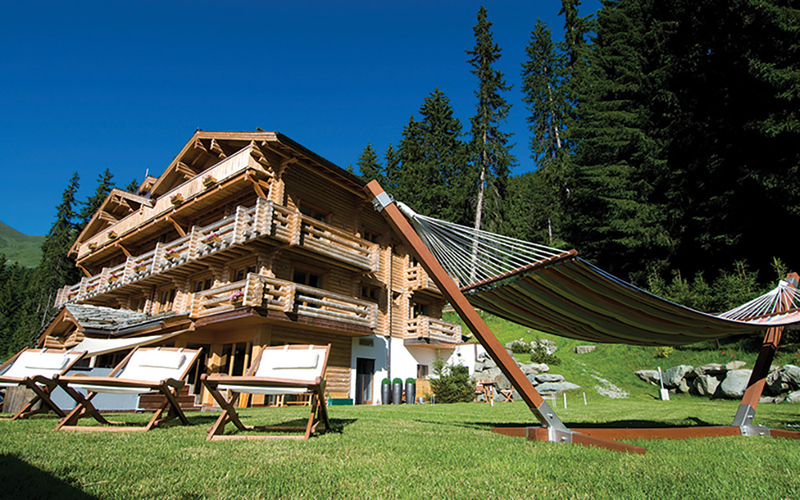 I had viewed The Lodge in Verbier on a couple of occasions in the past but it had been perhaps 6 years since my last visit. 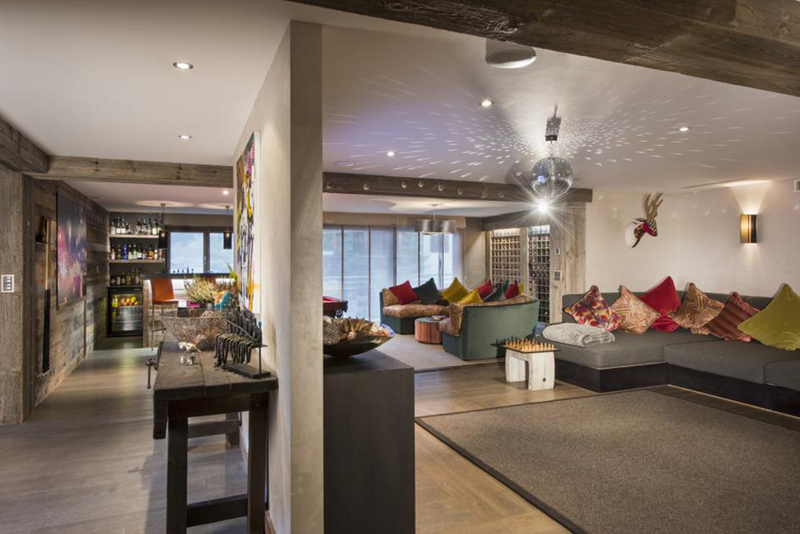 Defying the fact that it was initially launched to the luxury ski market in 2007, The Lodge still retains its wow factor as you walk through the door. 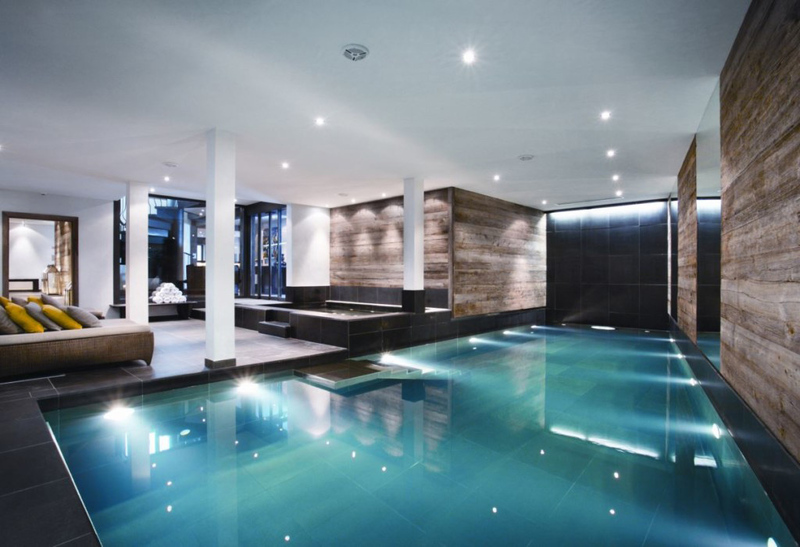 Understated and not in your face, The Lodge is an elaborate home from home environment in the beauty of the mountains. 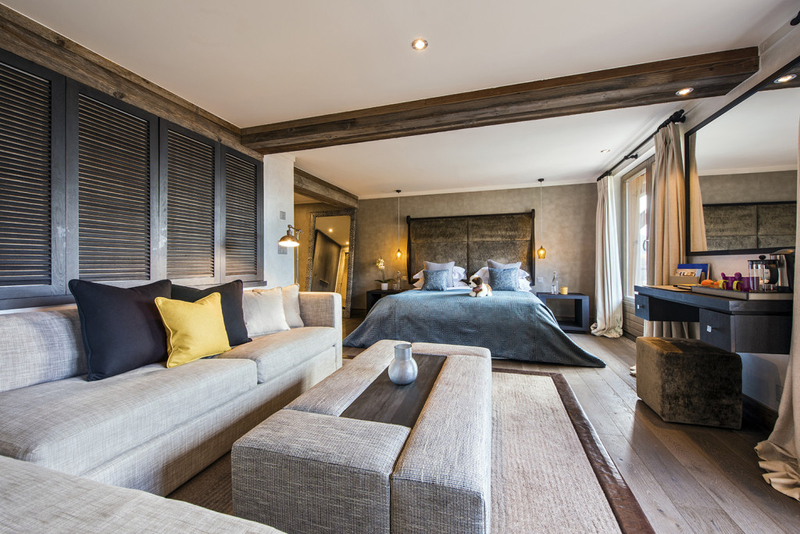 Continued tweaks in the chalet, be it changes in the bedrooms, or soft furnishings throughout the living spaces, ensure that the chalet still firmly sits high and proud amongst the best luxury chalets in Verbier. 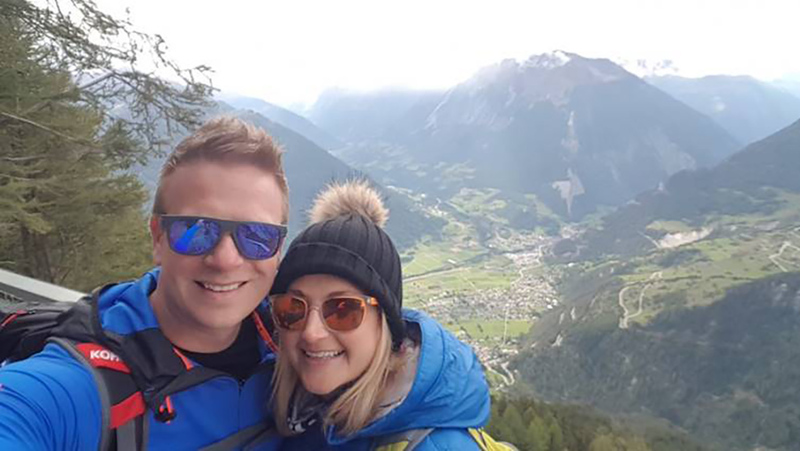 A team of 15 are responsible for ensuring that guests in The Lodge Verbier never need to lift a finger, other than perhaps to raise an arm into the air when asked whether they would like their glass topped up. 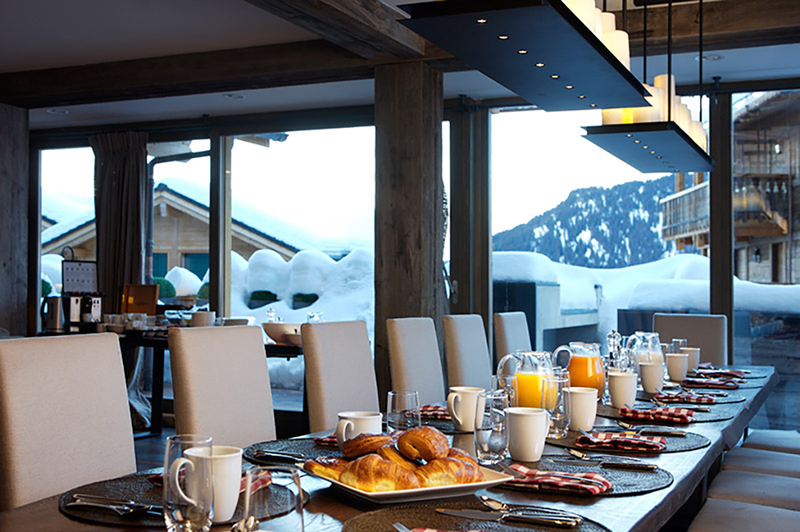 The team dynamic in The Lodge is apparent, with everyone knowing one anothers role and strengths, working together to deliver the epitome of luxury chalet service. The Lodge in the summer months is rented on a room by room, hotel style, basis. We were joined by six other couples for the time that we were there, only two of whom knew one another. It created a convivial atmosphere from the off, with everyone staying in the same mind-set. Lets make the most of the pampering and get this party started! On our first night we had requested some time alone so that we could finally catch up with one another after a manic few months at work and in our personal life with the demands of family and our two girls. We asked whether we were able to take our evening meal in the privacy of our bedroom.. of course you can! We settled into The Lodge by enjoying the fantastic spa and wellness facilities..well, mostly the hot tubs. Sipping on cold bubbles whilst sat in hot ones. An essential combination. Fran disappeared to the massage room to see the in-house therapist. Now, I shookthe therapist's hand when we were welcomed to the chalet and she had a bone crushing grip so I knew that Fran was going to be in incredible hands. I caught up on work and enjoyed some time to kick back and relax in peace. When Fran returned from her pummelling I knew we had made the right choice to dine alone. She was so incredibly relaxed and sleepy..if we would have gone downstairs for dinner then I would have worried that Fran would have given the impression of ignorance rather than, far more truly, being rendered incapable of speech by the power that is within the spa therapists hands. Our private dining table had been set beautifully in the window of our bedroom, with stunning views of the surrounding mountains. An epic sunset, ever changing in colour was an undisputed highlight of the few days. We were delivered the essentials of our meal..a bottle of bubbly, one of red and one of white..oh, and a jug of water. We received polite knocks at the door every time there was a new treat brought up to us, with the host being as attentive or discreet as we wished. A fabulous meal had, and we only needed to step across the room to then roll into bed for an early night and a much needed catch up on sleep. When we arrived to breakfast the following morning at 10am I was incredibly surprised to see only one other couple at the table. My thoughts were that everyone had disappeared up the hill already, making the most of the beautiful morning sunshine. However, as we sat and ate, a few more faces started appearing, rather bleary eyed. It seems they had succumbed to the V Factor and got a bit carried away the night before. 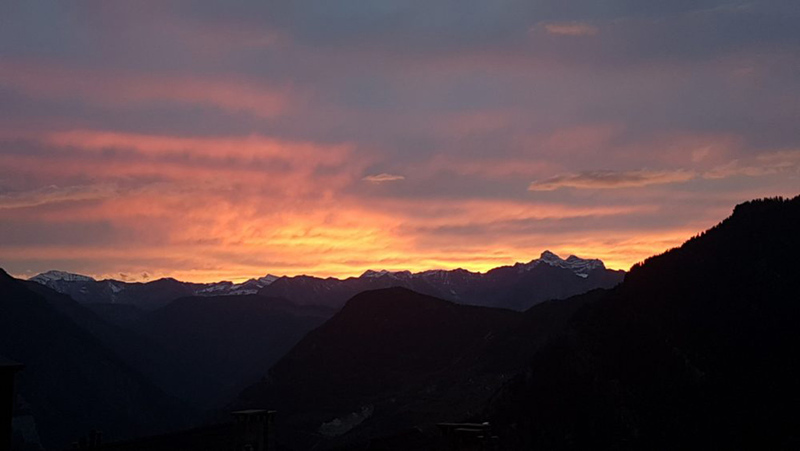 We were sat bright eyed and bushy tailed, with I am sure a quite smug look on our faces, as we revelled in the rewards of our long sleep, looking forwards to our hike. Team Virgin had recommended a number of hikes dependent on how much we wanted to push ourselves. We opted for the highly recommended Bisse du Levron. We were set on our way with a lovingly prepared picnic backpack, with the obligatory bottle of champagne and plastic flutes. Is there anything they don't think of?! We headed up the Medran to Les Ruinettes, and from there dropped to the start of the Bisse du Levron, located above the arrival station of the gondola. This stunning walk follows the man made Bisse which acts as a natural irrigation system and also provides fresh mountain water to the villages down the valley. 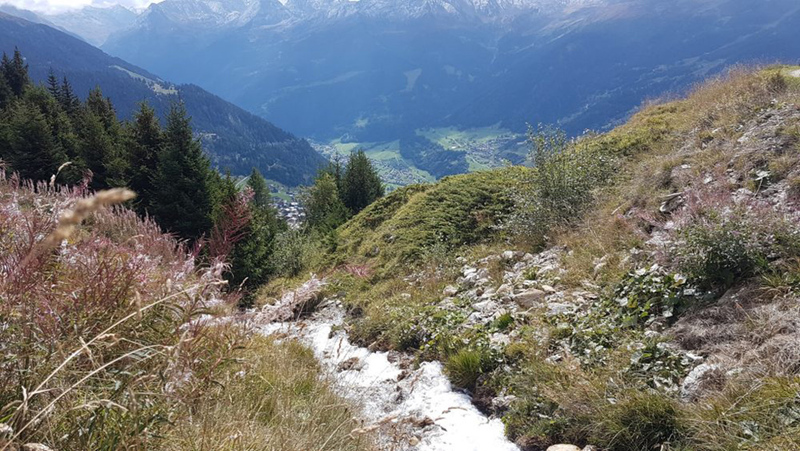 Arguably one of the most beautiful walks in the Alps that we have experienced, with continued views down into Verbier accompanied by the sound of the constant flow of the Bisse. It is mountain escapism at its finest. 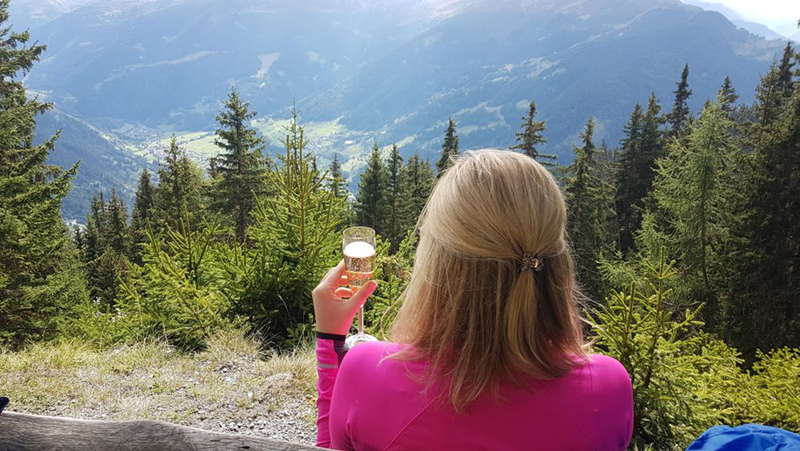 We chose to stop for our champagne picnic on a bench positioned amongst the Sentier des Sculptures with numerous wooden carvings dotted amongst the trees, with a jaw dropping view down to Le Chable and Brusons. It was the perfect spot to once again cosy up and enjoy one anothers company. We reluctantly picked ourselves up from the bench and finished the walking route. The icing on the cake being the view of the Chute du Bisse at the end of the trail where the water tumbles from the rock face down. On our return to The Lodge we found all other guests already congregated in the living room, well more around the bar actually. They were all far more fresh faced than at the breakfast table..it's amazing what mountain air can achieve! Champagne and cocktails were in hand and it was at this stage that I developed a new found love, something I opted to call the Naughty Ginger..constructed by none other than our ginger haired George from front of house, this cocktail consisted of Calvados, Cointreau and Champagne. A few too many cocktails had by all and before we knew it, it was time for dinner. A sumptuous affair with first class service. The after dinner party was taken down to the entertainment room, equipped with pool table, bar, big screen TV area, and the absolute essential for any upcoming auditions the glitter disco ball. Drinks flowed all too freely and it turned into a late, late night. The staff remained on hand to ensure that those who wanted to enjoy the party didn't need to even think to be pouring for themselves. The flexibility offered by the team in house allows for the service standards to be maintained both day and night. Every guest was enjoying the stay and who could blame them? The Lodge offers a home from home environment where everyone comes together as friends. Nothing is too much trouble, just ask and it will be delivered. 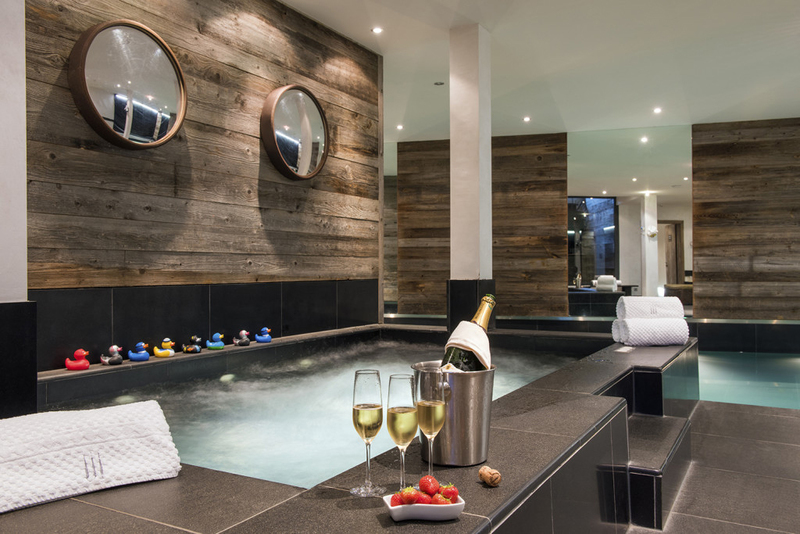 It is this incredible dedication to an ethos of exceptional but not in-your-face service that has built the reputation of The Lodge as one of the undisputed leaders in the luxury chalet rental market. We reluctantly departed early the next morning but not before taking advantage one last time of the services available. We dialed 0 from the bedroom and made our orders. A bountiful breakfast arrived with the standard smile at our bedroom door. A very fitting end to a very relaxing few days of luxury living. 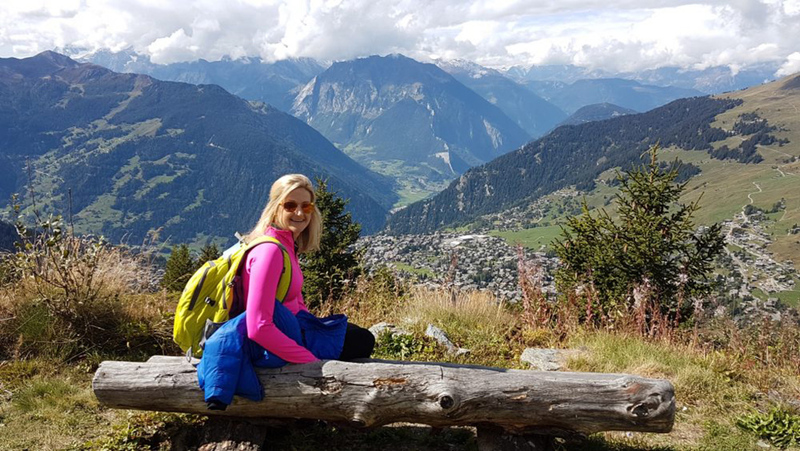 We wound our way down from Verbier to Martigny and hopped on the train back to Geneva feeling refreshed, recharged and having had some quality us time.